Amphenol 4 position male jack. 1-5/8" square. 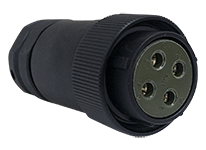 Up to 8 AWG wires. Mil-spec. Amphenol 4 position female jack. 1-5/8" square flange. Up to #8 AWG wires. Mil-spec. 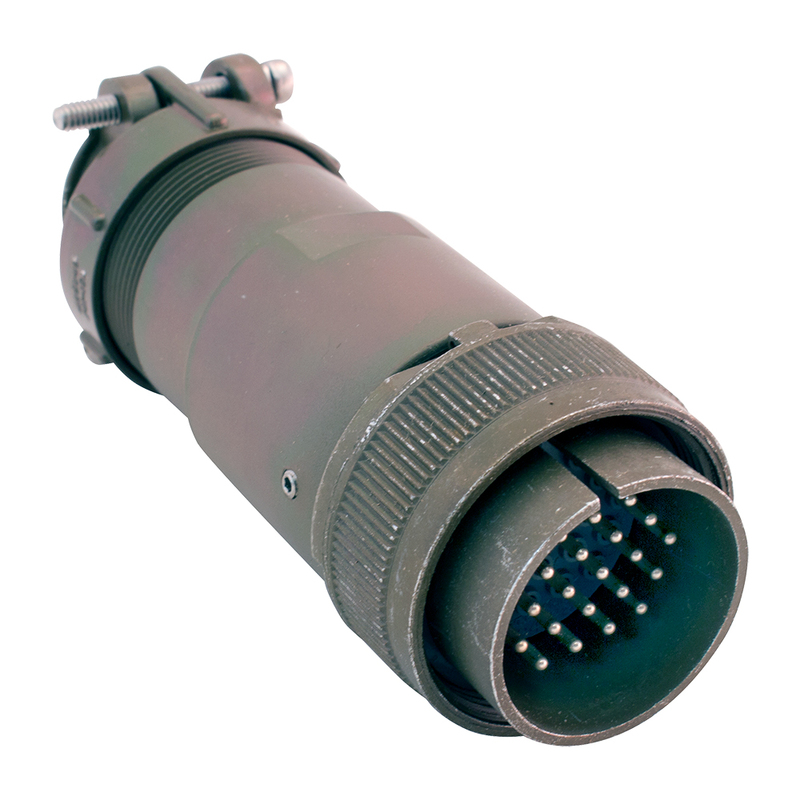 Cannon 26-pin right angle male Mil-spec connector. NSN: 5935-00-442-2033. 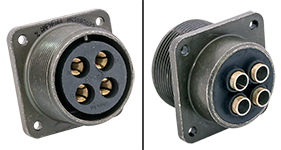 Hirose standard circular connector plug. 1P67. Waterproof. 4 position female. 30 amps. 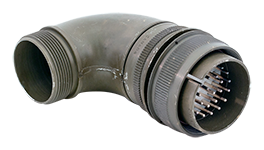 Includes JR25WCC-10, 10mm strain relief. RoHS. 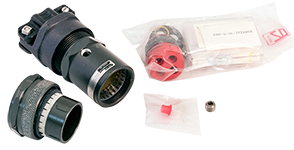 4 pin male Pyle-Star circular connector with pins and backshell sealed in bag. Pyle-Star-Line "Neptune Series". Alt. P/N: ZZM-200053-UO-1116-322PN01. 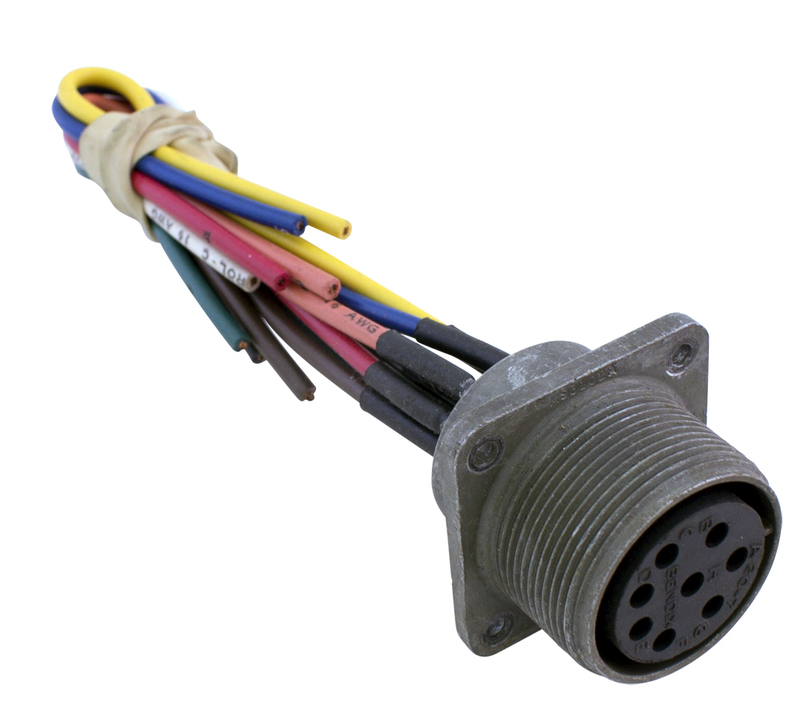 5 pin connector receptacle. Spare for (EQP) MARKII hand crank generator. Flange mount, threaded holes. Cannon 2 pin circular connectors. Matched set. Both with strain relief and boot. Set includes one male: AN3106E-16-11P & one female: AN3106E-16-11S. 11 gauge pins. Flange mount male. 0.955" c-c mounting holes. Cheap insurance!! Pick up a spare male or female body with contacts. NOTE: Body only! No other parts included. Spare body with female contacts. NOTE: Body only! 2 pin male/female 6' extension cable assembly. Round. MS3106AA12S-3S. NSN:6760-167-1056-JX6X. New surplus! Cannon dust cap. 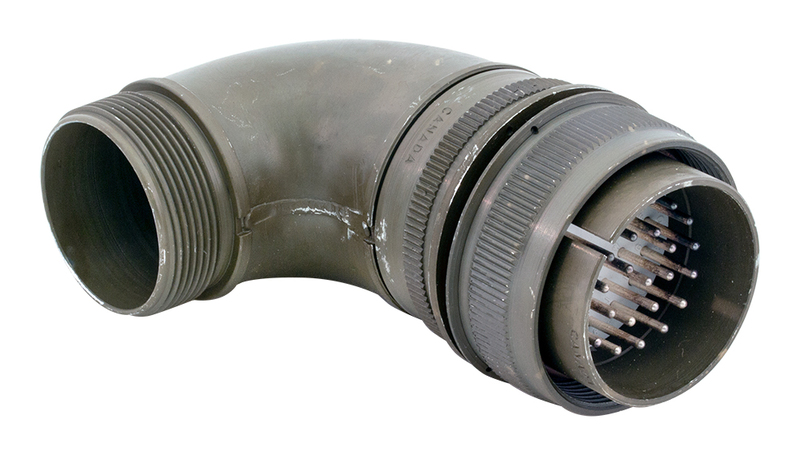 1.625"D. Alt P/N: PVSG81-22N. 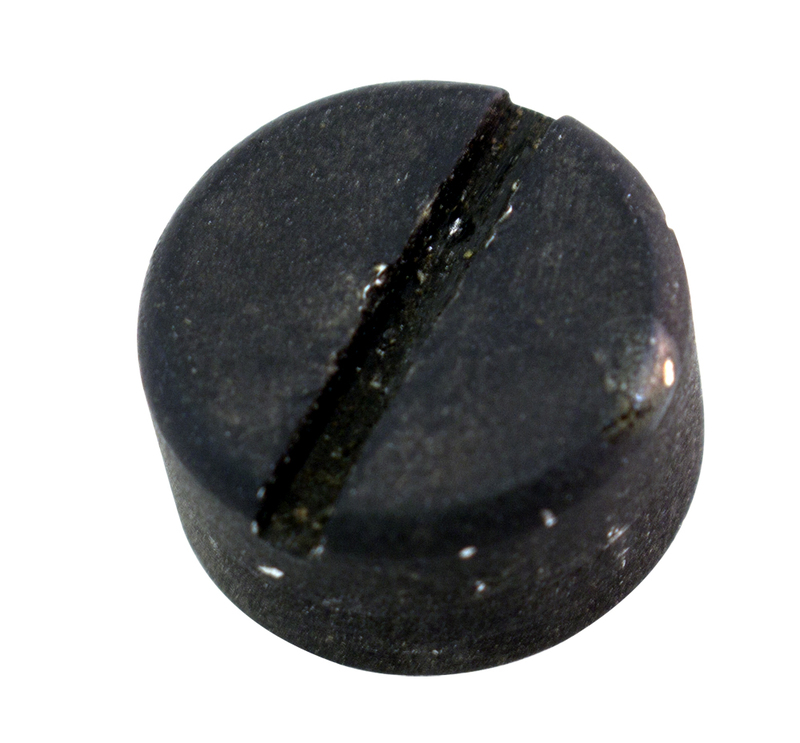 Black aluminum metal cap with conductive insert. 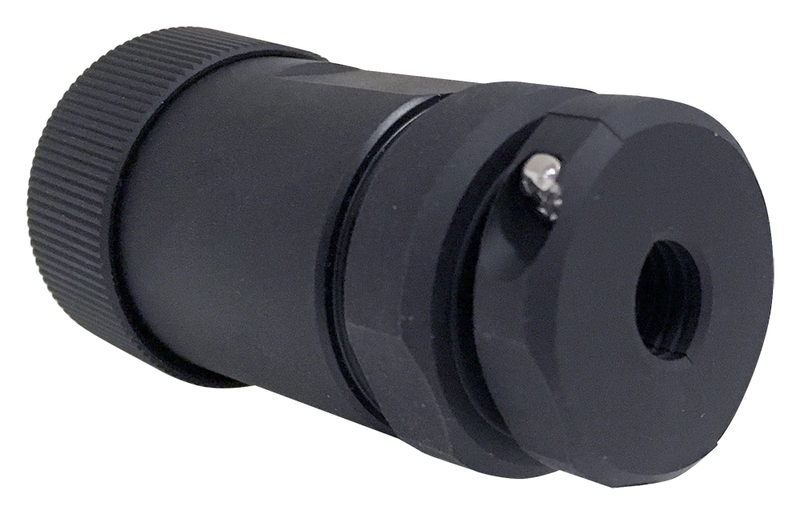 0.450" I.D., 0.560" O.D., 0.295"H.
7 pin cable mount plug. No strain relief. Solder cup. Mates with (CMS) MS3102A20-15S. Used. 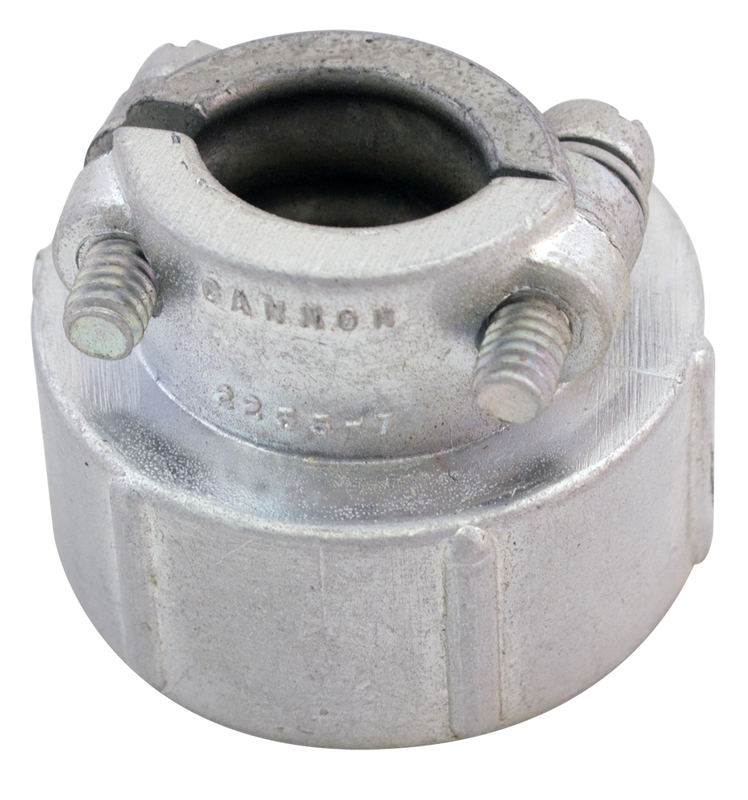 8 pin female flange mount socket. Pre-wired with 6" leads. Solder cup. Mates with MS3108A20-7P-U (left). 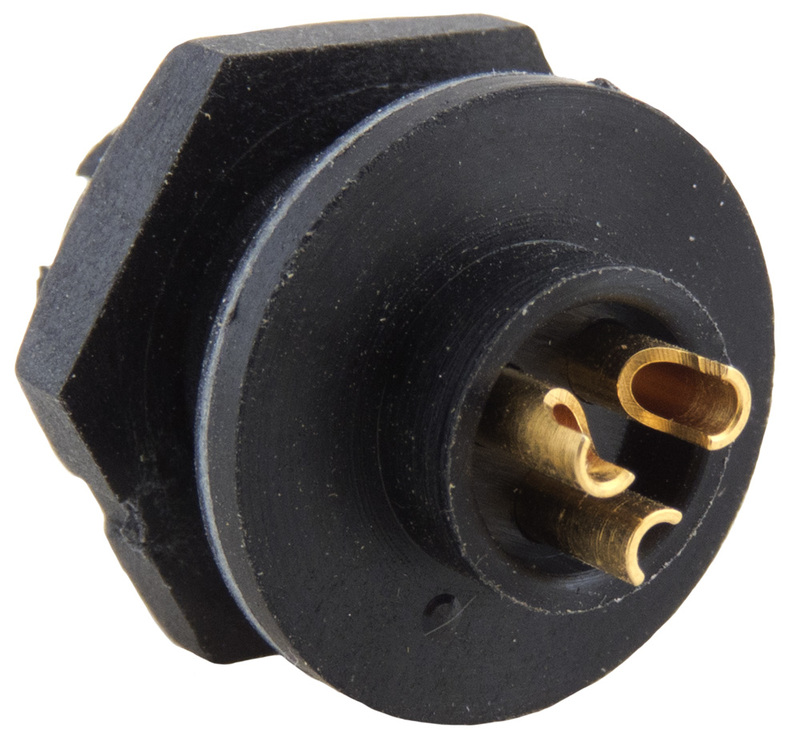 8 pin male plug with 90° backshell and strain relief. Mates with (CMS) MS3102A20-7S-U (right). 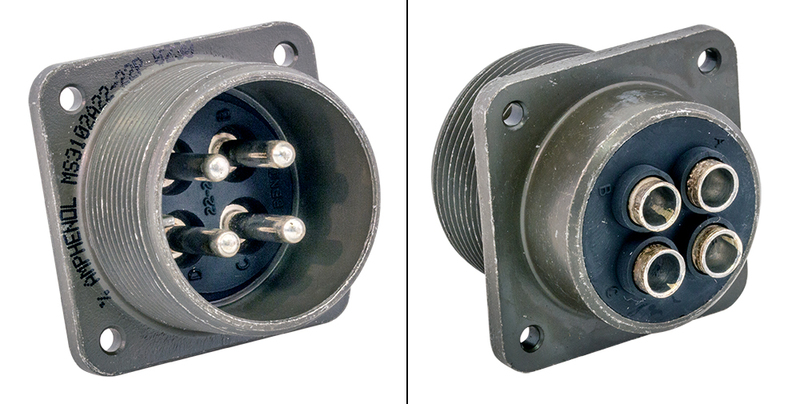 Male and female circular connector matched set. Like new condition! 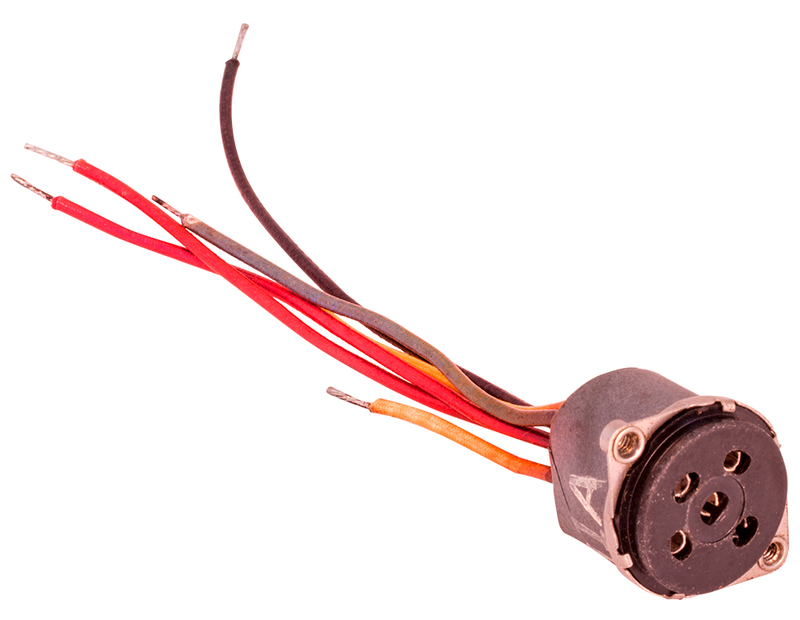 Amp connector. 16 position. No pins. Cannon strain relief backshell. 1.13" I.D. 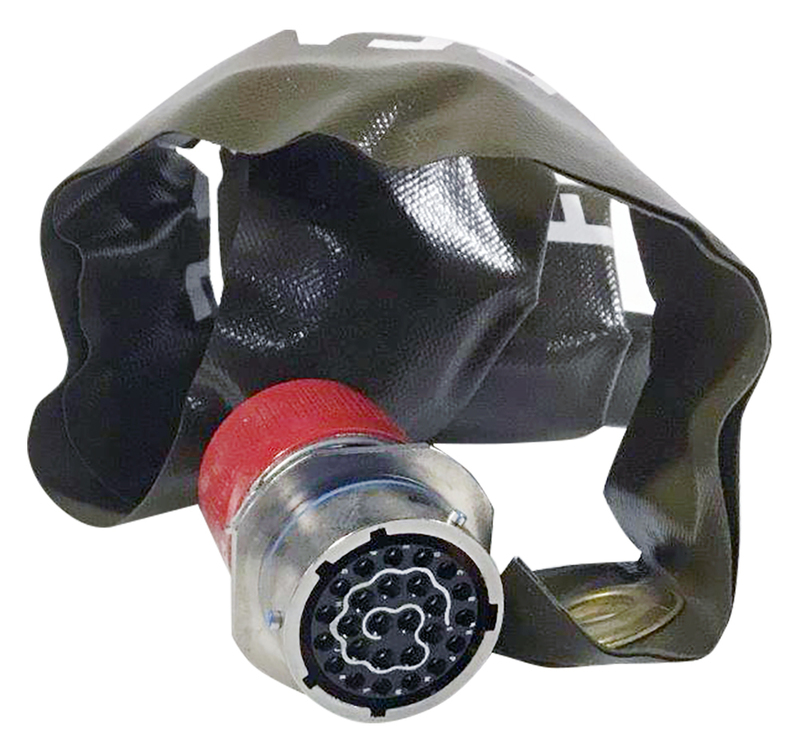 Aluminum electronic cap. 0.703" I.D. x 0.344"H x 0.882" O.D. Power cable assembly. 1500v. 39" long. 3 pin female inline, MS3106A14S-75, 969061ST, 987382ND end all connectors. 18 AWG, stranded. NSN: 5995-00-682-3309. 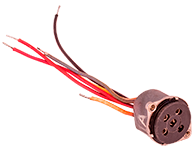 2 pin female to 3 pin female circular cable assembly. Mil-spec. 6 foot long. NSN: 5995-00-753-0907. Power cable assembly. 2 connectors. 1 - male circular bulkhead hole mount, 81019-24-61PN-090. 1 - female double row 50 pin with rotatable keyways, CCW-010-050-0037. 12" long jumper. NSN: 6150-01-211-3678. 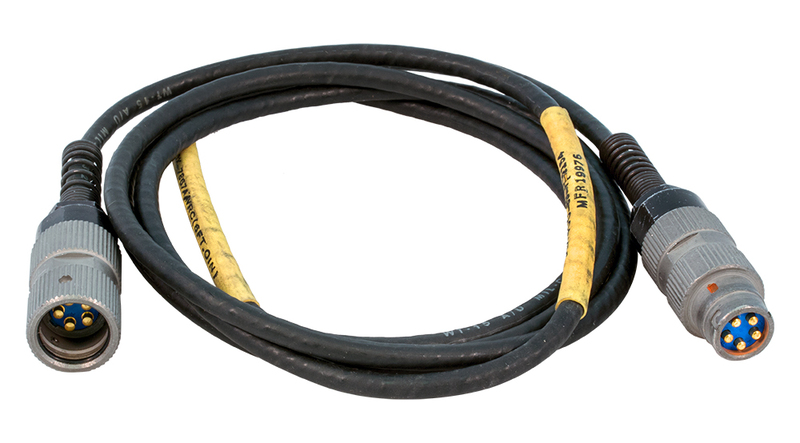 8 foot cable assembly with 6 pin male circular connector. Alt. P/N: 71-535062-98P. NSN: 5995-00-955-1767. 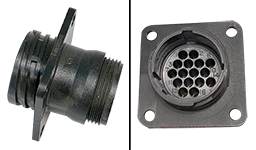 ITT cannon circular connector, Mil-C-5015 series (VG95342), 24 pin plug, crimp cable. 4.281"L x 1.719"D, 1.5" thread size, right. NSN: 5955-00-917-6790. Fan test adapter cable. 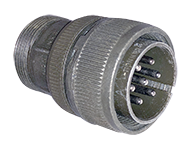 Connectors: 10 pin = NB6E12-10SNS. 61 pin = MS3476L24-61S. 24" long. Interconnect cable. 12 pin male / female. 10 feet long. U-393/U male, U-290/U female. 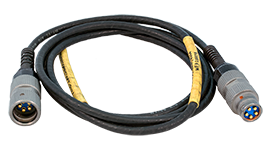 10 foot power cable with 4 pin female plug - MW10MMD17. New, unused. 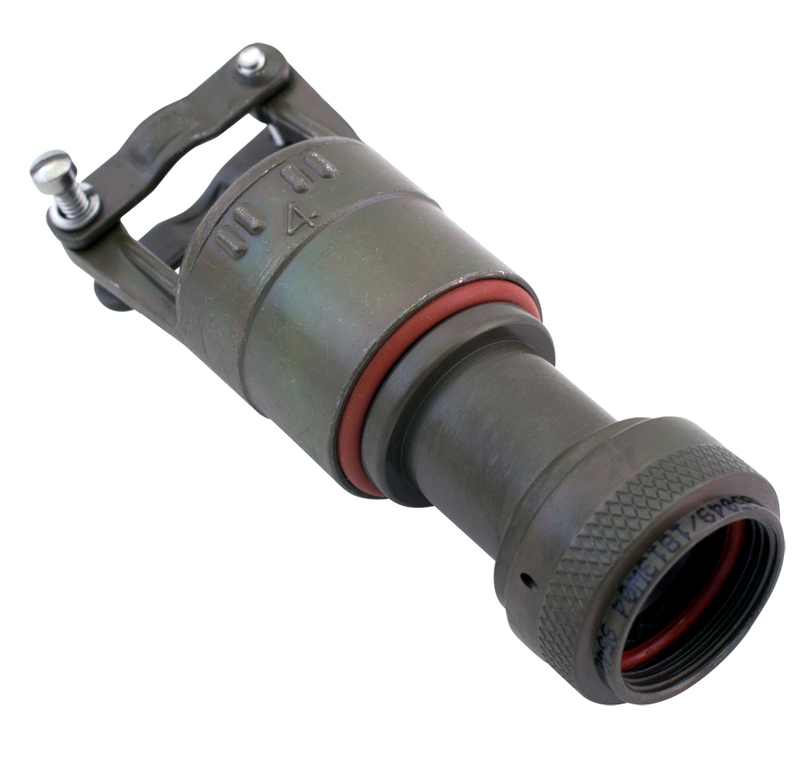 "Lemo" connector. Panel mount. 4 pin. Brushed nickel finish. O-ring seal. Bezel measures 0.787" x 0.22". Requires 5/8" diameter hole. Keyed. Exceptional quality. 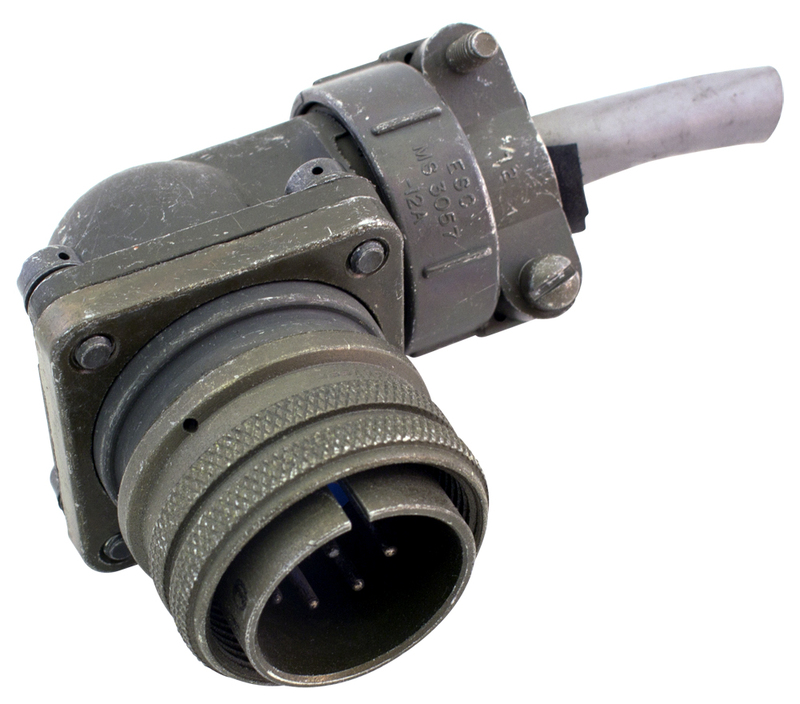 "Lemo" connector same as left except PTFE with sealant over terminals. 1-3/4" pigtails, 4 colors. 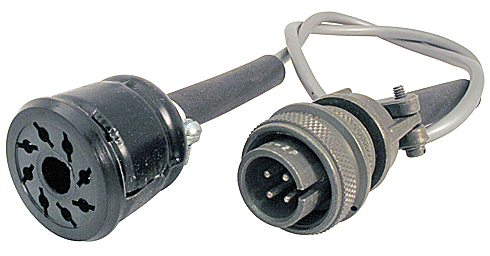 "Lemo" 3 pin male chassis connector. Fiber washer and nut on top side of chassis. Gold solder cup. Fits 0.385" hole. 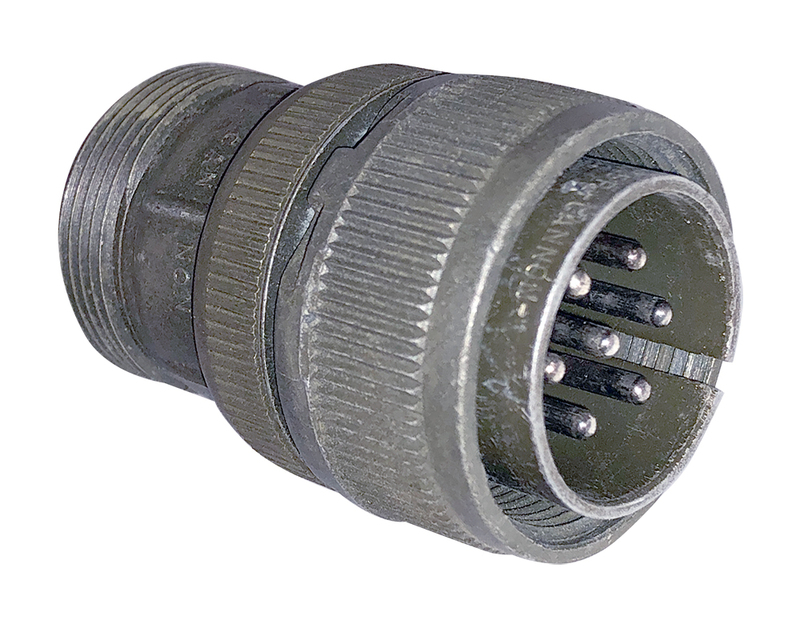 19 pin female circular connector with boots. MS3420-8, 10, 12. Colonial Radio connector. Panel mount. Male, 18 contacts, silver. 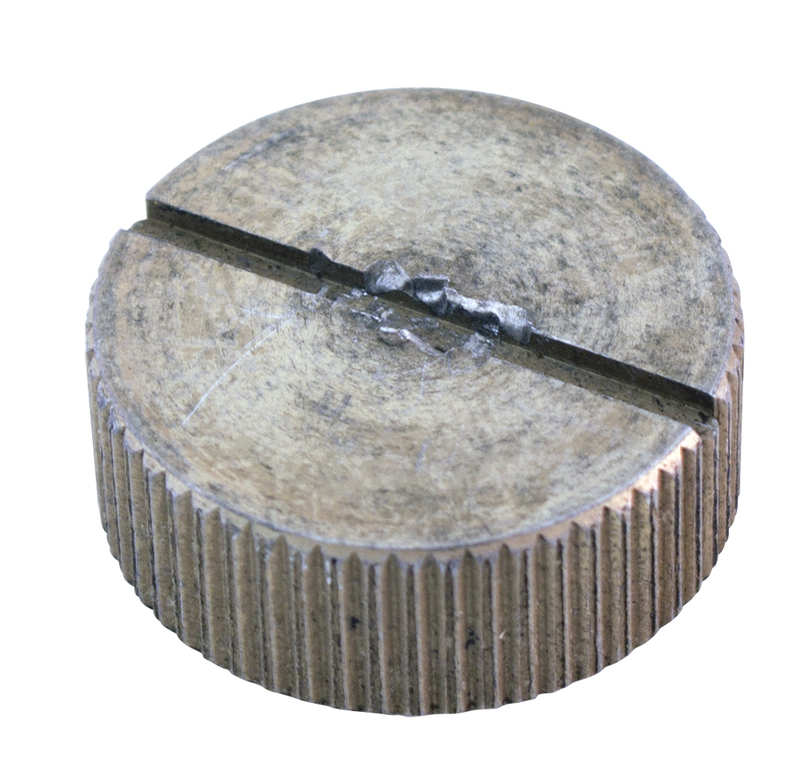 Fits 1-5/8" diameter hole. Includes nut. Made in 1945. NSN: 5935-258-5974. Neptune connector. 4 pin female. 3-3/8" O.D. Also MIS17417-1-35. NSN: 5935-115-0593. 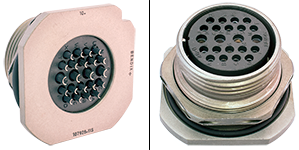 Circular connector with weather cap. Fits Harris equipment. 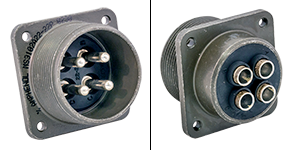 Includes complete set of 100+ male electrical and 6 coaxial contacts. 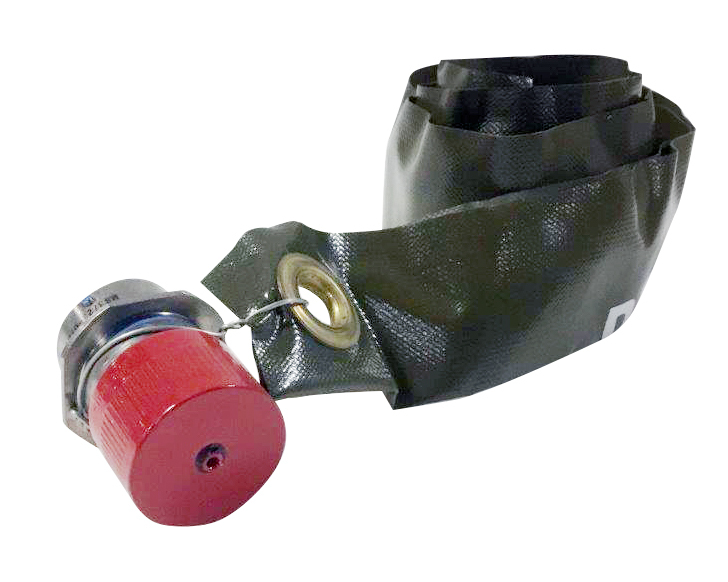 2-7/16" diameter body, 4" diameter cap. 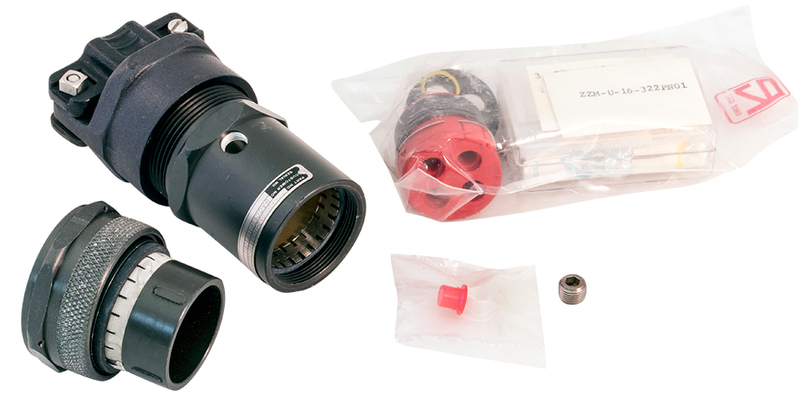 Tyco Amp circular plastic clamp connector strain relief. Size #17. AMP clamp backshell. Size 23. 1-3/8" - 18 thread. 1.125" cable opening. Cannon backshell. Fits MS3106. 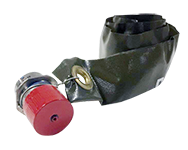 Dual clamping action for balanced grasp. Shell size = 18. 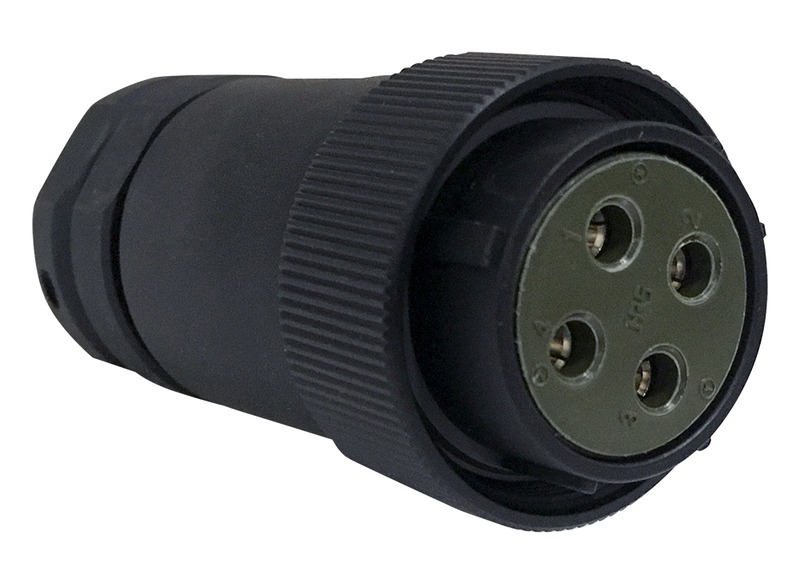 3 pin circular connector. GI-3-18 flange mount. 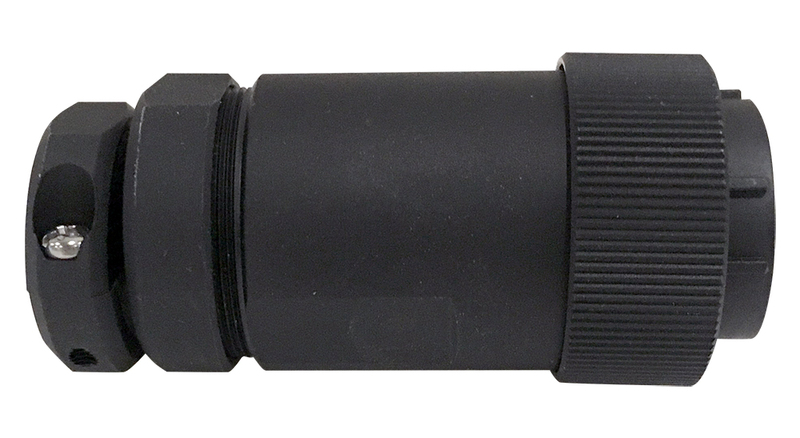 Cannon plug, 10 pin male. Includes backshell. Fits SRS equipment. P/N: P00256. 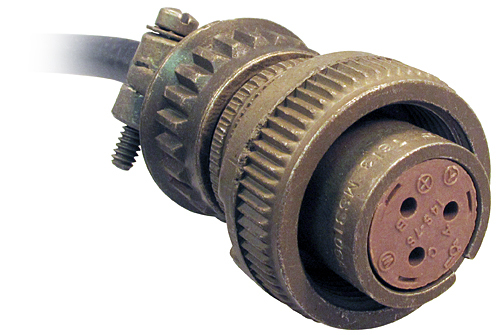 Cannon 2 pin male circular connector. Square panel plug. Amphenol 165 series. 5 pin female. 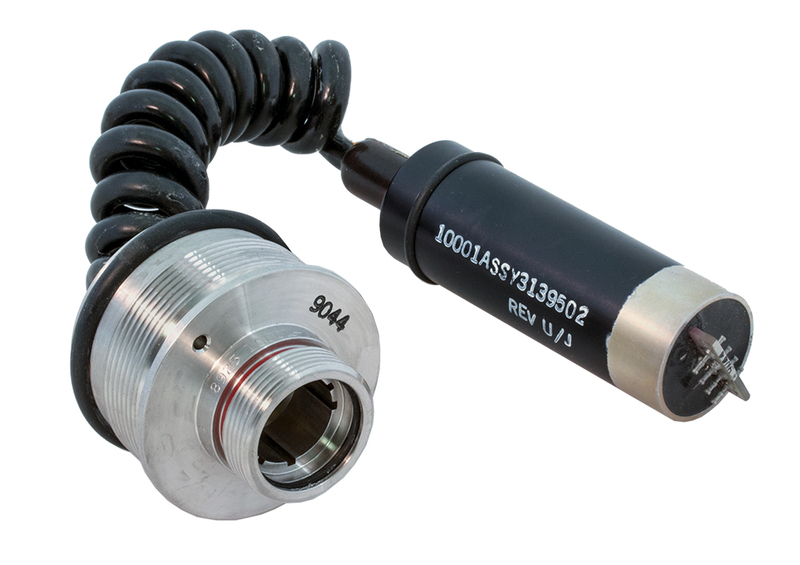 8 pin octal socket to 4 pin male MS3106A-14S-2P cable assembly. 16" long. NSN: 3655-00-224-8934. 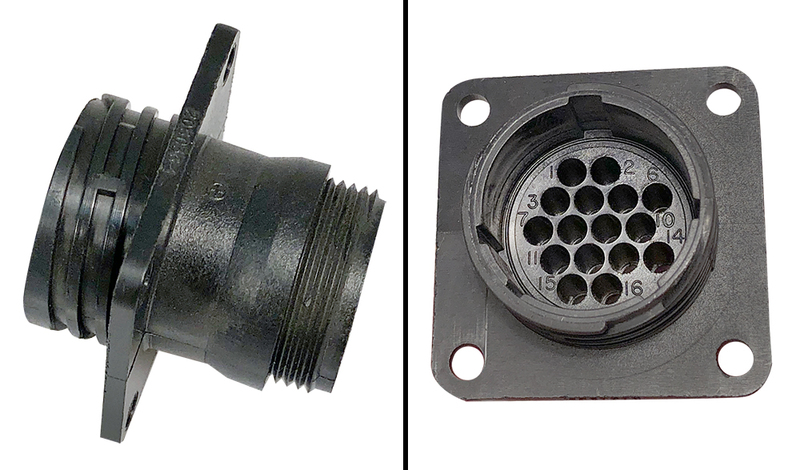 Amphenol 24 pin male circular connector. 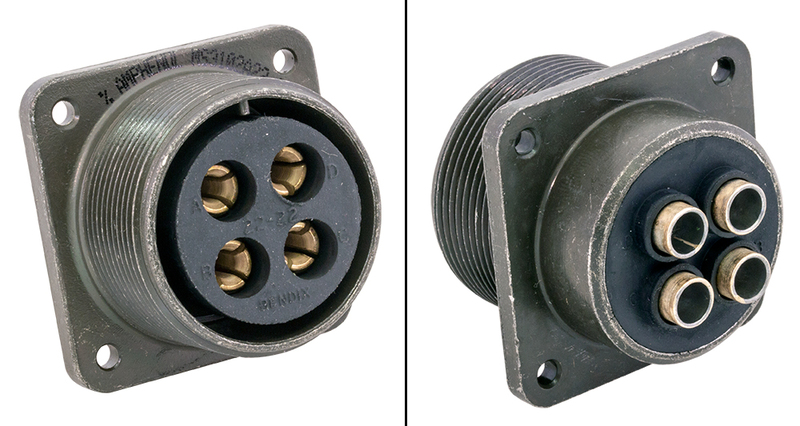 Bendix electrical connector receptacle. 22 single mating end contacts. Anodized aluminum. Salt water resistant / water-proof. 1.576"L x 2.375"D. Alt P/N: 2601193-3. NSN: 5935-01-112-1784. 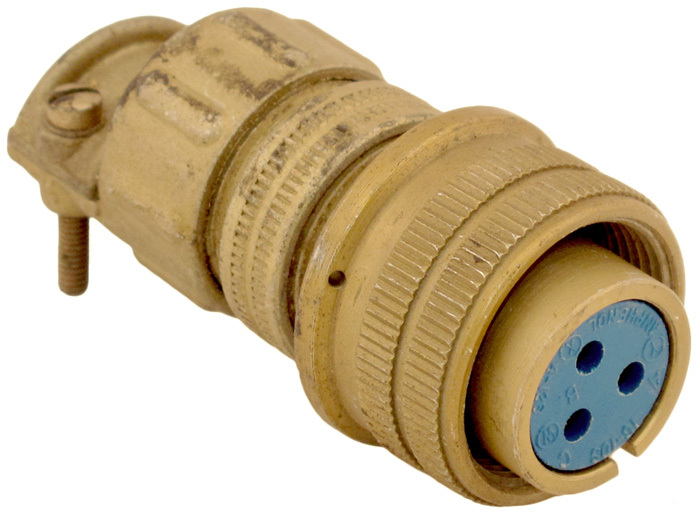 Three pin female connector. Used. 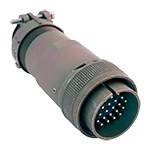 Military cable assembly. 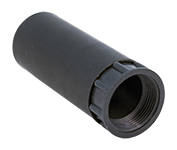 Bendix connector: 10-6-5107-98P. Also 3187310, D2658, 3139510. 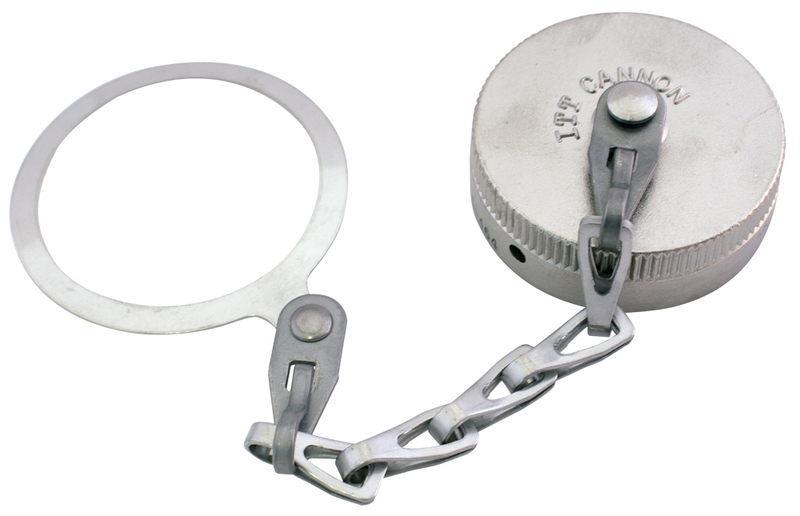 Russell Stoll aluminum cover / cap & chain. 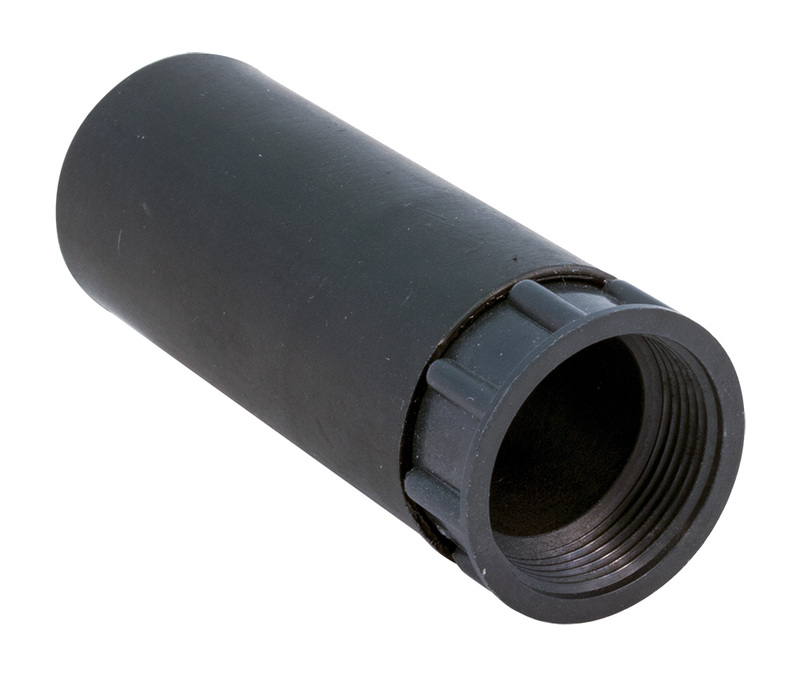 Rubber gasket. 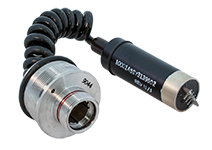 1-3/4" inside diameter. 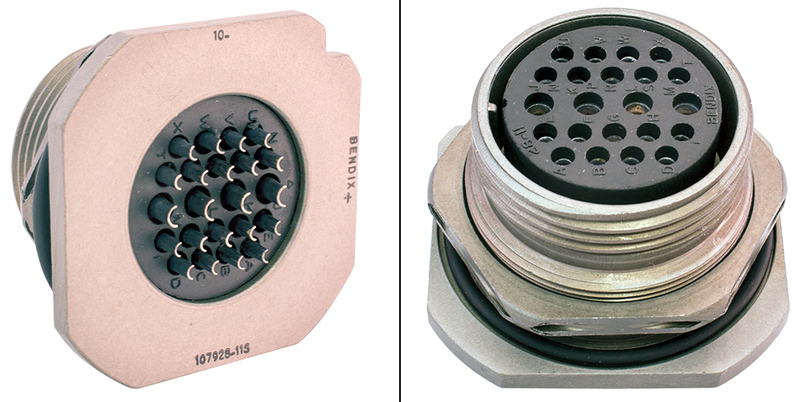 Bendix / Amphenol electronics dust cap with inner gasket. 1-3/8" diameter x 1/2" high. Knurled rim. Receptacle dust cap. Anodized aluminum. Spacecraft P/N: DCR047J20NA. 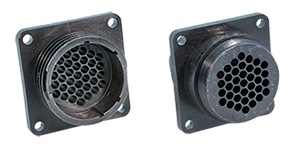 Amphenol circular connector housing. CPC receptacle. 37 position, crimp SZ 16 contact. Panel mount. Male flange, threaded. Polyamide nylon. Black. Dummy connector plug with flag. 600v AC. Moisture, salt water and vibration resistant. "Remove Before Flight". NSN: 5935-00-922-0425.